View along a section of the Pennard Cliffs to The Great Tor. The cliff faces are of particular importance for wildlife and nesting birds including ravens and chough. 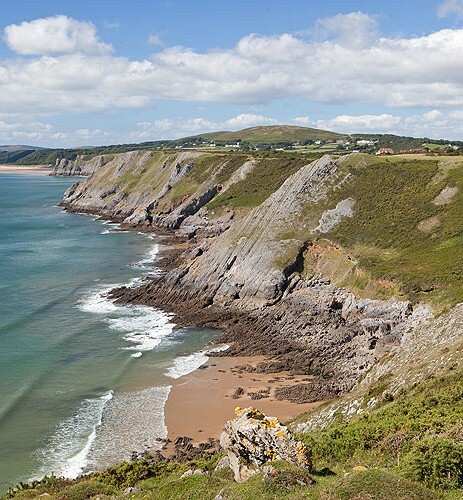 The Pennard Cliffs are a rugged stretch of the coastline from Three Cliffs Bay to Pwll Du Bay .